One of the biggest teen idols of the late '50s! Beginning his career by entering amateur contests, sneaking into clubs and recording his first song when he was just fourteen years old, Paul Anka has gone on to become one of the greatest songwriters in history. His singles "Diana", "Lonely Boy" and "(You're) Having My Baby" peaked at Number One on the US charts, though he's enjoyed a slew of other hit singles which took up other prime chart positions. Two of his most well known singles are the late 50s crooner classics "Put Your Head On My Shoulder" and "Puppy Love", both of which became international hits and anthems for an era. Singing aside, he has also achieved unprecedented success in every venue: stage, screen, television, and recording. 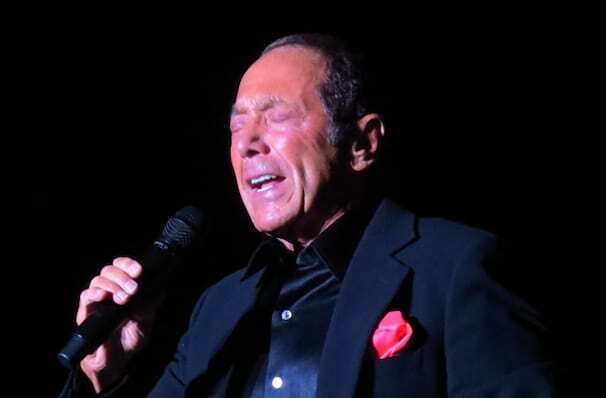 Paul Anka's songs are internationally known and have been covered by some the greatest names in the entertainment industry during a music career spanning over half a decade! Sound good to you? 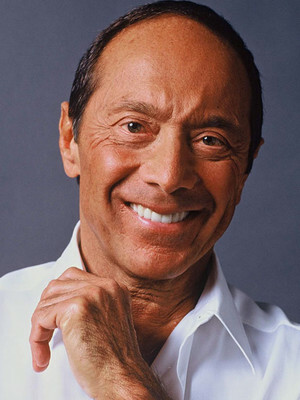 Share this page on social media and let your friends know about Paul Anka at Hanover Theatre for the Performing Arts. Please note: The term Hanover Theatre for the Performing Arts and/or Paul Anka as well as all associated graphics, logos, and/or other trademarks, tradenames or copyrights are the property of the Hanover Theatre for the Performing Arts and/or Paul Anka and are used herein for factual descriptive purposes only. We are in no way associated with or authorized by the Hanover Theatre for the Performing Arts and/or Paul Anka and neither that entity nor any of its affiliates have licensed or endorsed us to sell tickets, goods and or services in conjunction with their events.